My first reaction to his casting was to have a moment of disappointment that they cast yet another white male in the role and passed up the opportunity to cast a minority, whether a woman or a person of color. Then that moment passed because as much as I would like to see that happen someday, I don't trust Steven Moffat to handle either of those things well. Don't get me wrong, I like a lot of what he's done for the show since taking over for Russel T. Davies, but he tends to write in broad, stereotypical strokes that would not have gone well. He strikes me as one of those white males who doesn't understand that other people's life experience isn't identical to his own. Otherwise I quite like the choice. Moving from the youngest Doctor, Matt Smith (27 when he debuted), to the second oldest in Capaldi (55 and second only to the first Doctor, William Hartnell) will provide a nice contrast, and maybe it will stop the companions from falling in love with him. Matt Smith also did a wonderful job of conveying through his performance how old the character is in spite of Smith's physical youth, which I think will allow the transition to Capaldi to be smoother. Smith's Doctor doesn't feel young at all. 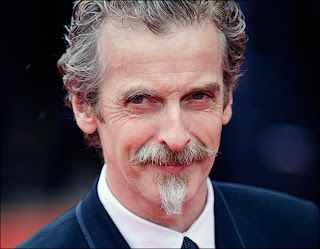 Now the Doctor will just look more his age. 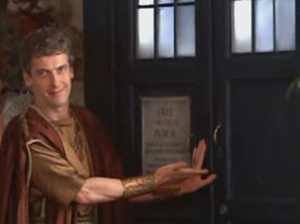 It's interesting to note that Capaldi appeared in The Fires of Pompeii episode of Series 4 opposite David Tennant's Doctor. I wonder if they'll do some retconing and make his character in that episode the 12th Doctor in disguise. Actually, it would be pretty brilliant to bring back David Tennant and Catherine Tate, and show us that whole episode from the 12th Doctor's perspective pretending to be Caecilius. In any case, Capaldi will make his debut at the end of this year's Christmas special, undoubtedly poking his face a lot, frowning at his bow tie, and being disappointed that after 11 regenerations, he still hasn't been a ginger.